The chief executive of the Bank of Cyprus has been fired as part of the restructuring plan aimed at restoring the bank's stability. It was beginning to look rather odd that no heads had rolled from the top ranks of Cyprus’ banking system in recent weeks. Given that the country’s entire industry was facing the prospect of complete collapse just 72 hours ago, you’d think it might have happened a bit sooner: but, better late than never. Yiannis Kypri, the chief executive of the Bank of Cyprus – the country’s largest commercial lender – has been sacked as part of the restructuring of his bank. It is thought that international lenders, including the European Union, the European Central Bank and the International Monetary Fund, pushed for his departure, but a spokesman for the European Commission has denied that they applied pressure. Meanwhile, chairman Andreas Artemis and four directors handed in their resignations on Tuesday this week, but the board rejected them. So, what happens next? 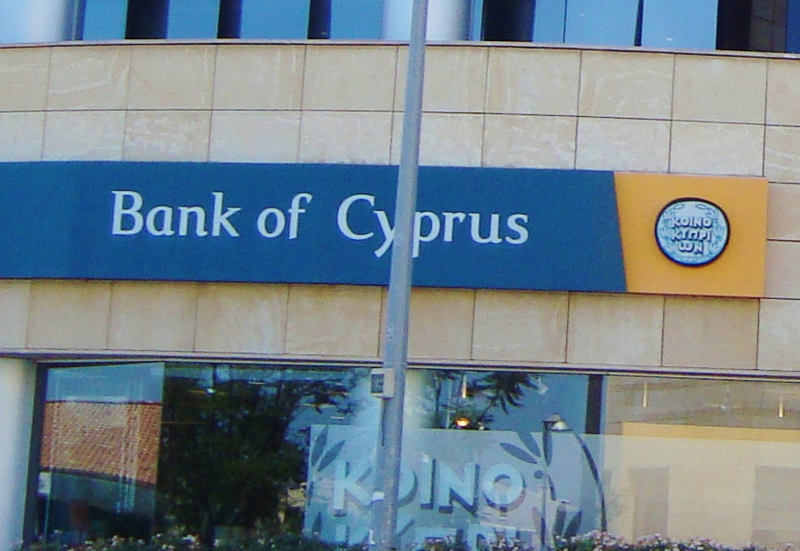 Administrators have been drafted in to get the Bank of Cyprus back on its feet, and plans to merge it with the ‘good’ parts of the soon-to-be closed down Laiki Bank are afoot. And in the near term, Panicos Demetriades, the governor of Cyprus central bank, said that the efforts being made to get banks ready for re-opening on Thursday were ‘superhuman’. A spokesperson added: ‘Indications are that banks will open tomorrow with some restrictions on capital.’ We imagine the controls are going to have to be pretty tight, given that Cypriots have now been worried for weeks about what will happen to their savings.